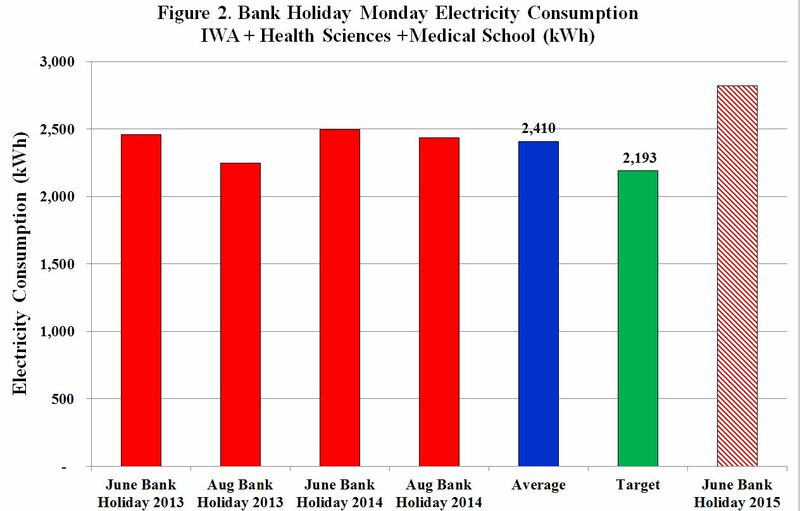 Below are the results of UL’s June Bank Holiday Monday electricity consumption as promised. Unfortunately we did not meet our targets! 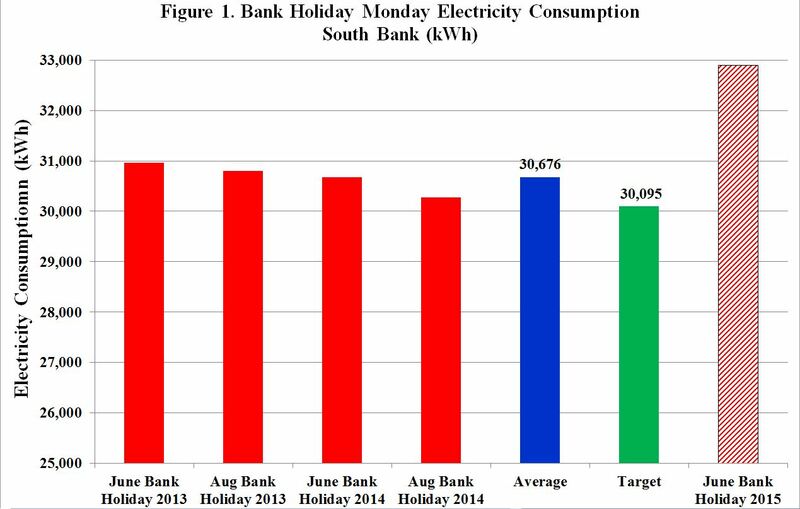 Figure 1 shows our South Bank electricity consumption exceeded our target by 9% whilst Figure 2 shows targeted consumption on selected North Bank buildings was exceeded by a far greater amount. Note: A fault with the main ESB meter on the North Bank has prevented reporting of the entire North Bank consumption so instead a selection of North Bank buildings are reported on as shown in Figure 2.